Welcome to the eleventh issue of CEO Monthly, which is dedicated to providing our readers with the latest news and updates from all corners of the business world. This month, we take a look at the leaders who are fundamental in the ongoing growth of the global professional landscape. Here we celebrate those that ensure companies acquire the best talent, the architects behind innovative PR campaigns and those that are breaking new ground in emerging markets. 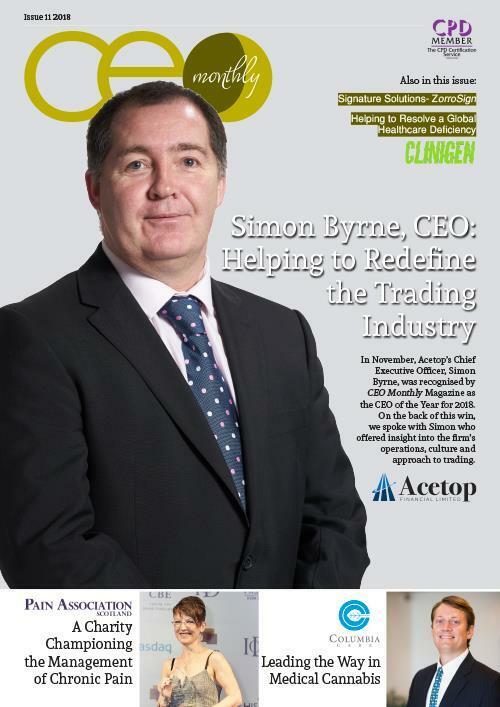 On the cover of this month’s issue is Simon Byrne, CEO of Acetop Financial Limited. A leviathan in the trading sector, Acetop provide trusted Forex, CFD and Spread Betting services to their worldwide client base. Championing a client-centric approach to investment, they offer a best in class trading platform that allows easy access and complete trade management wherever the client may be. We spoke with Simon to find out more. Next, CEO Monthly took a look at the emerging cannabis industry in the United States. As the country’s largest and most experienced provider of medical cannabis and cannabis-derived products, Columbia Care LLC is at the forefront of an incredibly promising market. Columbia Care’s CEO, Nicholas Vita, spoke to us about his approach to defining the future of medical cannabis. Finally, in a nice change of pace, we endeavoured to find out more about Pain Association Scotland. Sonia Cottom, Director of the charity, offered some insight into their important work tackling the chronic pain epidemic in Scotland, Northumbria and North Wales. Sonia was recognised in CEO Monthly’s Leadership Excellence programme for her dedication to this vital cause. 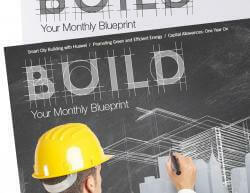 The team here at CEO Monthly hope you enjoy this month’s issue and we look forward to hearing from you soon.